The protector golf Club travel support system fits inside your golf bag to protect your clubs from damage or breakage while traveling. 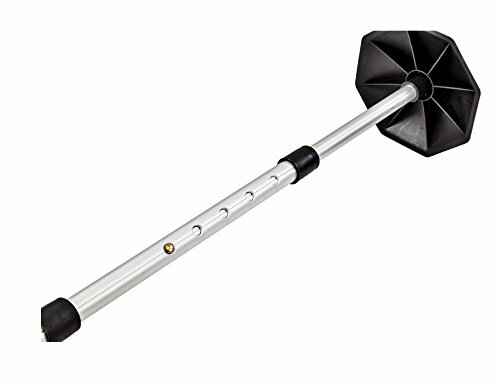 The 5 1/2 inch durable dome top attached to a telescopic pole provides protective support in the travel bag. It is easy to use, and expands up to 52 1/2" to fit any size travel cover. The push button adjustment has 10 height settings. The simple screw-off top can disassemble to 25" for easy storage in your golf bag. If you have any questions about this product by JEF WORLD OF GOLF, contact us by completing and submitting the form below. If you are looking for a specif part number, please include it with your message. Shu-Fly Ultra-Travel Fly Rod Series 9 Ft 7 Piece 8 Wt.